Hi, I'm Molly. 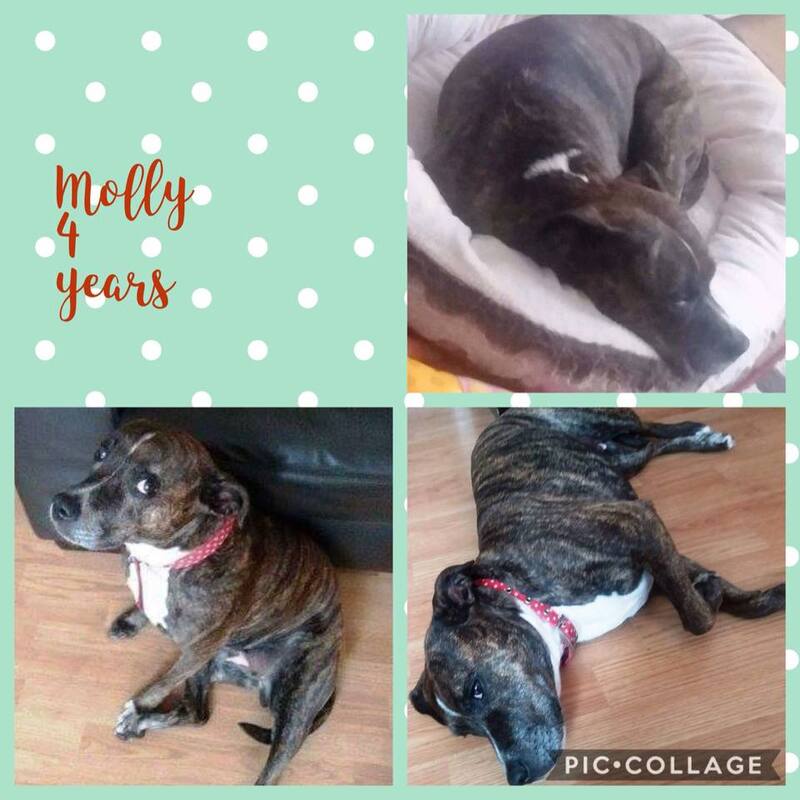 I'm a 4 year old Staffie currently located in West Yorkshire. I've lived with little people as young as 5 and I'm quite happy around them. I can live with another dog but I will need steady introductions. I cannot live with small animals though and I'd prefer it if my family and neighbours had no cats. If you are interested in adopting Molly please contact us . Homecheck and a donation apply.